This luxuriously soft oversized velvet cushion features a dark, smoky grey shade with black velvet piping and comes with a plush feather insert. It has a hidden zipper for added comfort and style which is designed to add a layer of character, warmth and depth to your space. A little bit about Urban Road… “A good painting, to me, has always been like a friend. It keeps me company, comforts and inspires” - Hedy Lamarr, American Actress Urban Road began in 2010, by self-taught artist and illustrator Suzie Atkin, who dreamed of bringing original canvas art prints into the homes savvy art lovers world wide. The Australian-based Urban Road has an extensive range of unique and lovingly created designs and patterns to blend with your home décor. With beautiful and elegant colour palettes, trendy designs and uplifting imagery, Urban Road’s artworks are easy-to-match with both contemporary and traditional settings, complementing your home with dashes of colour and strokes of artistic sophistication. About Urban Road’s Artworks… Urban Road is the perfect place to be for original and inspiring art prints on canvas. Simply browse through the collections in the online shop or see the artworks in their natural ‘habitats’ in our gallery. Suzie's artworks are a combination of hand painted art and digital design, printed on 100% cotton canvas using giclee printing methods and eco-solvent inks. Each is then stretched over 3cm kiln dried stretcher bars and gallery wrapped, which means the image is stretched around the edges of the frame to create a seamless, museum-quality finish. 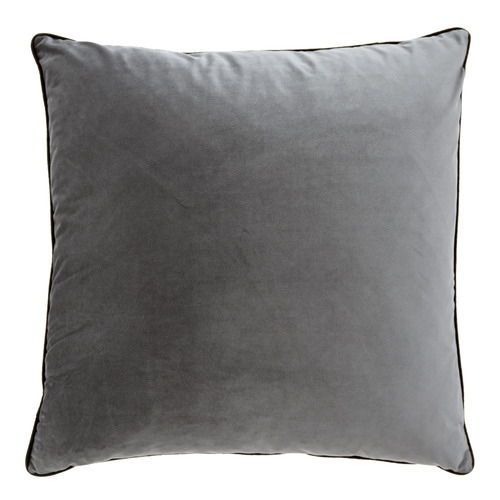 The Steel Grey Oversized Velvet Cushion is a Contemporary or Country style product. Contemporary style bridges the gap between traditional and modern. Pieces feature simple and clean lines with smooth surfaces without any carving or adornment. You can shop for more Contemporary or Country Cushions in the Bed & Bath section of our site. When you buy a Steel Grey Oversized Velvet Cushion online from Temple & Webster in Australia, we make it as easy as possible for you to find out when your product will be delivered to your home in Melbourne, Sydney or any major city. You can check on a delivery estimate for the Urban Road Part #: UR_CV23_O here. If you have any questions about your purchase or any other Cushions product for sale our customer service representatives are available to help.Whether you just want to buy a Steel Grey Oversized Velvet Cushion or shop for your entire home, Temple & Webster has a zillion things home.